These are the Media releases recently issued by the Union and other organisations/people..
NWU:TIME FOR A CAMPAIGN OF DIRECT ACTION AGAINST THE ONE PERCENT! The employers, led by the one percent, have launched the most vicious assault on the rights, entitlements and interests of working people, both unionised and non-unionised. The campaign, started by the business owners/employers in March 2018 in an attempt to immobilise the workers’ movement, is coming swiftly to a climax. The latest tactic of the employers is to get rid of industrial court judges who may have a grasp of industrial relations and to replace them with bobble heads of the one percent. As their contracts come to an end, many judges are being released and replaced by others who are ignorant of the dynamics of industrial relations but who are loyal to the business class and/or to the political party in government which is itself obligated to its financiers of the one percent. Since March last year the industrial court has come under constant attack from the employers. The propaganda has been intense. They have utilised the Guardian (which has always been a mouthpiece of the one percent) to demonise the trade union movement, its leaders and particular industrial court judges, including the President of the Court. They have appealed judgements of the industrial court using high maintenance lawyers, knowing full well that in the overwhelming majority of cases they are not going to be successful. But the idea is to drag out and delay matters and frustrate and weaken an already weak trade union movement and to ensure that long suffering workers do not enjoy the minimal remedy that may be available at the industrial court. They boast that they have deep pockets and carry the workers for a run. Why is the focus on the court now? The vast majority of workers are not unionised and union membership continues to shrink as more and more workers are retrenched. The employers are smelling blood. They are no longer afraid of the power of unionised workers. They have succeeded in compromising many trade union leaders. They have succeeded in shifting the struggle between capital and labour from the work place and the streets to the industrial court. The trade union movement has for years been calling for security of tenure for industrial court judges who are all contract employees appointed by the cabinet which gives the governing party enormous sway over the quality of judgements delivered by the court. Like many other contract employees, the judges of the Industrial Court have no job security and are subject to political pressure. The one percent has, it seems, taken full control of the industrial relations policy of the government. This is not surprising because these mark-up merchants are the ones who finance the leading political parties and, as is well known, he who pays the piper calls the tune. The government has been assiduously serving the interests of the one percent, in that it has taken the lead in eliminating jobs in the state enterprise sector and in downsizing the public service and turning it into a nightmare for contract workers. What do the employers and the one percent want? The objective is to maximise their profits by minimising their labour costs; by demoralising their workforce through retrenchment, wage suppression and the cutting back of hard won benefits. They want to have the freedom to make maximum use of multiskilling and to be able to write job descriptions that are open to manipulation. Ninety percent or more of the matters that are decided in the Industrial Court are from workers who are not members of a recognised majority union bargaining unit. The employers have come up with a strategy that involves further weakening the unions while ensuring that non-unionised workers know and stay in their place. They want to remove the provision in law that says that a worker, whether previously unionised or not, must be represented by a union in the industrial court. They want to have the right to examine unions’ financial status (the books) when unions make applications for recognition. They want what they call small and micro enterprise employers to be exempt from punishment for unfair dismissals and from the procedures that apply to other employers when it comes to trade disputes. They want to make it illegal for the Recognition Board to grant recognised majority union status to a bargaining unit of less than twenty workers. They want unions to be decertified for bargaining units that fall below the magic number (twenty). They are against domestic workers being treated like “workers” under the law, despite the government pretending to support ILO recommendation 189 and promising to enable it through legislation. They want unions to pay costs in matters that employers win in the industrial court. They are against workers who have been unjustly dismissed being re-instated. They want to be able to retrench so-called “contract workers” at will. They want to cut back on leave provisions in collective agreements. They have developed legal mechanisms to delay and frustrate the already long drawn out process of recognition which they developed to frustrate the RBC recognition struggle by BIGWU. They want restrictions on appeals against industrial court judgements to be removed. What the one percent and the ruling party do not understand is that the gutting of the industrial court and the introduction of legislation to further the interests of the business and political elites will have the effect of shifting the workers’ struggles for economic security back to the workplace and the streets. Instead of ensuring dominance over their workers, it will lead to an intensification of the class struggle, which will not be restricted to industrial relations issues, but will involve the question of the quality of life and, inevitably, to the question of how power is exercised; who exercises it and in whose interest it is exercised. The employers and the government are ordering what they cannot eat! The National Workers Union (NWU) demands that government holds its hand on the appointing of judges; while it moves to scrap the contract system for industrial court judges and institutes a system of appointment based on security of tenure. The National Workers Union calls on the trade union federations and all trade unions to condemn this vicious plot by the employers and to engage in a mass education campaign both within the unions and for the mass of non-unionised workers who are facing the brunt of the attacks and for the general population. The National Workers Union calls upon the trade unions to convene an all union Conference of Shop Stewards and Branch Officers to strategise and kick off a campaign of direct action to beat back this vicious assault on workers’ rights, entitlements, standard of living and quality of life. This morning workers at the Bauxite Company of Guyana Incorporated (BCGI) downed tools protesting the Russian management’s imposition of one percent wages increase. This is an embarrassment to all Guyanese. The workers’ protest was responded to by management at a meeting held where they were brutally told that they will be fired if they do not return to work within the day, that they can seek redress wherever they want, and to hell with the government. The operation at the mines and maintenance departments have come to a halt. Article 147(2) of the Constitution of Guyana protects the right to strike. And whereas in the Collective Bargaining process strike is considered an industrial weapon to be used whenever the circumstances become necessary, all are reminded that since December 2009, under the noses of successive governments, BCGI has been engaged in a series of violation of the law and transgressing of the workers’ rights. The management continues to refuse to treat with the recognised union of the workers’ choice, the Guyana Bauxite & General Workers Union (GB&GWU). GB&GWU has earlier today informed Chief Labour Officer, Charles Ogle, of the industrial action taken by the aggrieved and deprived workers. The Union stands in solidarity with these workers in the exercise of their basic right and for the upholding of their attendant rights. GB&GWU calls on all Guyanese to understand the struggles faced by these workers, to empathise with them, and to lend them your support. GB&GWU calls on the international community for its solidarity. The continued violation of BCGI workers threatens multiple family units and the entire communities within which they reside. The threat to one is a threat to all; and injustice here is an injustice everywhere. Workers of BCGI have been suffering since under the previous government and continue to suffer under the current. How many more have to suffer, how many families and children have to suffer. As Guyanese, citizens of the world, one and all will have to face the reality now. The best defense for the unaffected lies in the protection of the rights of those around them. GB&GWU calls on the Government and Opposition to intervene immediately and stop this violating of the Guyana Constitution and the Rule of Law and the transgressing of the workers’ right by a foreign sovereign power. In this period of political division and external tension with our neighbour Venezuela, who is facilitating a growing presence of Russia in its ongoing pursuit of geopolitical relevance, is management’s new threats and intensified violation a strategy we must pay attention to. Moreso, in the context of a heated upcoming election and the exploitation of our oil and gas resources. This matter is no longer a simple labour issue. There seems to be a hidden agenda with potentially dangerous consequences that both the Government and Opposition should take immediate action on. This is about a nation's sovereignty and national interest, the respect for worldwide comity. TO DEFEND OURSELVES AGAINST THE ONE PERCENT WE MUST TAKE BACK OUR UNIONS! The statement available here was published by the National Workers Union on the occasion of June 19th/Labour Day 2018. It may be downloaded from the attachment at the bottom of the page. Planning and advancing food and nutrition security is a clear challenge for Trinidad and Tobago. In the absence of an overarching policy framework for sustainable agriculture and rural development, key stakeholders continue to misdirect advocacy and resources jeopardizing the national good. This multi-dimensional issue needs vision and leadership. Glaring examples of our failure to mobilize and organize basic agricultural commodity production, marketing, and processing is becoming more evident as we aim to satisfy the national appetite. “At a recent meeting between the Ministry of Industry, Commerce, Agriculture and Fisheries of Jamaica and a Trinidad and Tobago trade delegation, the issue of a trade imbalance between our two countries was discussed. Both countries agreed to explore ways in which Jamaica’s products such as agricultural products can be utilized as inputs into the manufacture of Trinidad and Tobago’s products. In particular, Jamaica outlined its interest in supplying specific products to Trinidad and Tobago. Simultaneously, in the House of Representatives in Jamaica, there was celebration. Minister of Industry, Commerce, Agriculture and Fisheries, Audley Shaw, reported that there was growth in seven sub-sectors in agriculture in 2017, when compared to their production in 2016. These are corn, plantain, banana, pineapple, dasheen, coconut and milk. By January 2018, The Gleaner reported that “Trinidad had increased its weekly order of Jamaican bananas following the signing of a six month contract. Jamaica started by sending one container or about 900 boxes of bananas each week.” Former Agriculture Minister Karl Samuda had announced that “Trinidad wants three containers a week.” The Jamaican government has been working to consistently increase the export of bananas through the Banana Export Expansion Programme. "He wanted to see what we have, and because the quality is so good, he wants to up his price over there. We want him to up the price over here as well, so we think that six months will give us enough leeway to increase output. He is going to distribute in the Massy group, and at least 20 of the retailers are already asking for Jamaican bananas. We have a lot of fruit that's going to come in very soon in the Spring Gardens Agro Park, a lot of young fields that are coming in, all for this market." “The Trinidad-based businessman is already exploring the option of importing potato and yam as well from Jamaica”, The Gleaner reported. While I support the need to strengthen relations and reciprocity within CARICOM and trading partners, T&T’s position of declining foreign exchange earnings and reserves has allegedly put greater pressure on our capacity to import although the food import bill continues to rise. We remain hard-pressed to report expansion in food production and any permanent displacement of import dependency. There is, however, serious misinformation in the public domain and perhaps a misunderstanding of the situation at a policy level. Food imports must be understood in relation to essential products which cannot be produced locally, significant intermediary products and concentrates which service the local manufacturing sector, food and beverages for the high-end consumer and restaurant market, and the influx of primary agricultural commodities and products that directly compete with farmers, fishers, and entrepreneurs. 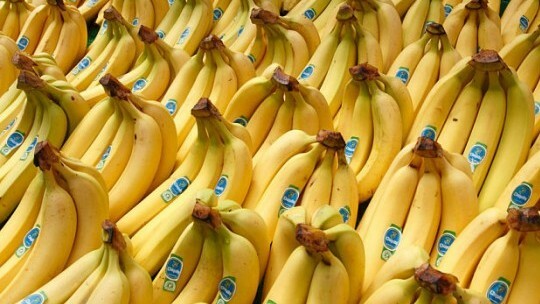 According to UN COMTRADE Statistics, T&T would have imported just over $231 million in bananas and plantains between 2010 and 2015 primarily from Suriname, Dominican Republic, St Lucia and St Vincent and the Grenadines. As I have said repeatedly and publicly over the years, while politicians and policy have seemingly attempted to promote local food production, they have simultaneously given greater facilitation and promotion of other sectors which demand billions of dollars in imported food and beverages to survive. After several years of fiscal budget deficits and economic hardship, damage to the major food producing areas from flooding, dilapidated infrastructure, tenancy and other issues, it is a burden to maintain our dependency on food imports coupled with food price inflation and the urgent need to return value and opportunities to rural agricultural and fishing communities. The food production sector continues to be misunderstood and suffers from a history of underinvestment and failed policy. In order to systematically reduce our reliance on foreign food products and bolster our own capacity, there must be a fundamental shift in the sector’s priority, raising it on the national development agenda which is to be supported by an overarching national policy framework for sustainable agriculture and rural development. The stakeholders of the sector will then only begin to be motivated through greater consultation, collaboration, and coordination of the already limited resources since they have grown accustomed to doing more with less. Policy includes identifying strategic programmes and projects aligned to measurable outcomes and its financial, human and technical resources. We must be mindful of the history of neglect of the agriculture and fisheries sector overall and appreciate that we cannot now try to do things in a recession which should have been planned and implemented in better economic times with greater fiscal space. Higher prices in local markets, increased demand for imported equivalents – which we should be producing in this country - and foreign exchange pressure may put food and nutrition security out of the hands of men, women, boys and girls who need it the most. Certainly, national support for the “local” notion will overwhelm current production in all sub-sectors. I am confident that demand will create supply but there are significant pre-cursors for growth and development that are unaddressed. Some of these issues will fortunately be ventilated at an upcoming symposium hosted by the UWI Faculty of Food and Agriculture entitled “Food and Nutrition Security”. While much effort has been expended by some stakeholders on highlighting the issue of housing versus the St Augustine Nurseries, we must also be advised of other important matters facing the agriculture sector, food and beverage industry, trade relations, and the people of the Republic of Trinidad and Tobago. Please contact 683-1173 for any further information. NWU: ORGANISE TO STOP RATE INCREASES! The National Workers Union issued the following statement on April 4th 2018. Working people and the poor in T&T are faced with more and more pressure as the government seeks to make up for the tremendous loss in revenue from the energy companies (from $20 billion to $1 billion), by picking the pockets of those who could least afford to suffer a drop in income. The National Workers Union (NWU) alerts the population to the move by the government to raise utility rates, more particularly to raise rates charged by the Water and Sewerage Authority (WASA). Along with increase in water rates the intention is to, once again, eliminate jobs at the public utility. At the Joint Select Committee of Parliament on 28th March 2018, WASA Chairman Romney Thomas lamented that rates were “unusually low”, which was one of the reasons for lack of profitability. He also argues that higher costs and low tariffs mean that there are less funds for investment. WASA officials also argued that the intention was to transform WASA to operate independent of subventions. WASA argues that water usage is “excessive” because it is cheap and actually leads to higher costs for WASA. They didn’t add that one third of WASA’s production does not reach the consumer, but is allowed to leak all over the place, though they did admit that only 20 percent of homes receive pipe-borne water every day. This figure is at variance with Minister Le Hunte’s figure of 38%. In addition to subsidising WASA to the tune of $3billion per year, citizens, who can afford it, have had to install water tanks and now those who can afford and those who can’t are being made to pay increased rates. This same WASA has become a happy hunting ground for contractors and suppliers. This is how the financiers, suppliers, contractors, friends and families of the politicians thrive. Corruption is the lifeblood of the economic system in T&T. This is the same WASA that hires private contractors to make 47,000 truck borne deliveries per year at a cost of $18,800,000 and some of these contractors turn around and put a surcharge on consumers. This is the same WASA that gave a consultant a US$70,000 contract to prepare a business plan to submit to the Regulated Industries Commission (RIC) because it did not have the competence to do it in house! This is the same WASA that signed an agreement valued at US$594,280 ($3,833,106) with Spanish firm Aquagest Solutions (a subsidiary of Agbar), for the provision of consultancy services for the design, preparation and presentation of an operational transformation plan for the utility. WASA has also entered into an agreement with a Ugandan firm at a cost of US$309,325 for the development of a performance improvement plan for WASA that includes staff training, development of a decentralisation strategy and the development of successor annual plans. Everybody benefits from by feeding on WASA, like corbeaus on a corpse, except working people and the poor. So, in addition to the hefty subsidy, the spending of money on water tanks, the overpaying of corrupt contracts, we now are going to be forced to pay increased water rates. Don’t forget that WASA has taken loans to the tune of US$600,000,000 from the Inter American Development Bank (IDB) for the Waste Water Rehabilitation Project which citizens also have to pay back. Dr. James Lee Young, Chairman of the Regulated Industries Commission, former head of the Energy Chamber wants WASA to eliminate jobs. James Lee Young, Executive Director of the Regulated Industries Commission (RIC) to which WASA must apply for a rate increase, told the JSC that WASA has a poor rating for efficiency. He defines efficiency not as WASA’s ability to supply a safe and reliable supply of pipe-borne water but in the number of employees per thousand connections. He claims WASA has 12-13 employees per thousand connections and that top companies have 3-4 employees per thousand connections. What Lee Young is doing is setting the stage for implementing the conditionalities contained in the IDB loan. US$50 million of the loan is for the re-organization of WASA. According to the IDB, the plan is to “decrease the number of employee per 1,000 connections from 12.5 in 2011 to 5.8 in 2016.” This means that more than half of WASA’s workforce in 2011 was supposed to have been eliminated by 2016. This is a clear signal that when WASA applies to the RIC for a rate increase, a major consideration by the RIC is going to be how many workers per connection does WASA have? With the Rowley government pushing the envelope because we ent riot yet, it is clear that the government intends to implement the conditionalities contained in the contracts with the IDB. Working people and the poor must not allow this further burden to be placed on our shoulders in addition to their plans to raise electricity rates and to sell as much of the publicly owned assets as they can. The National Workers Union urges community organisations, trade unions, non-governmental organisations, professional groups and citizens at large to organise themselves to prevent the increase of utility rates. It can be done with co-ordination and unity. It is high time that the working people and the poor take direct action to protect and defend their interests and stop expecting sell out politicians and confidence tricksters to do so. The following media release was issued on March 16th by Pan-African Unity Dialogue, based in New York. It is titled Pan-African Unity Dialogue in Solidarity with the People of Barbuda; Efforts Underway to Prevent a “Land Grab” by Actor Robert DeNiro. The group's contact is Don Rojas donrojas636@gmail.com Tel: 410-844-1031. The Pan-African Unity Dialogue (PAUD), a regular forum of African diaspora organizations in the New York metro area, is expressing support and solidarity with the people of Barbuda as they struggle against a land grab being orchestrated by movie actor and real estate developer Robert De Niro in collusion with the current government of Prime Minister Gaston Browne. In addition, PAUD is calling for a #Shame on You De Niro Twitter campaign to draw public attention to this egregious situation and to pressure both DeNiro and the Browne government to cease with this greedy land acquisition and to fully respect the democratic rights that the residents of Barbuda had enjoyed before Hurricane Irma devastated the island in September last year. “DeNiro represents a face that stands for an array of wealthy investors who fail to be sensitive to the history and traditions of participatory democracy practiced by Barbudans before staking a claim to their paradise,” said Dr. Ron Daniels, Convener of PAUD and President of the Institute of the Black World 21st Century. On December 12, just a few weeks after the hurricane struck Barbuda, a sweeping 13-page “amendment” to the hard-won Barbuda Land Act was officially introduced in Antigua and Barbuda’s House of Representatives. It includes changes that entirely reverse the meaning of the law. In the amendment, a clause declaring Barbuda “owned in common by the people of Barbuda” was deleted and replaced. “The fundamental purpose of the Act is to grant to Barbudans the right to purchase the [land],” the amended act reads. To add salt to the wound, the amendment also altered the definition of a Barbudan, eliminating those whose grandparents lived on the island. With the law’s passage, a swath of the Barbudan diaspora’s claims to the land were erased. and last month, the amendment to the land law was approved and signed by the governor general. The deal would change the island’s communal land ownership law in the interest of developers and particularly DeNiro who has plans to build a luxury resort on Barbuda called ‘Paradise Found Nobu’. The resort is to be built on 555 acres of land leased to DeNiro for 178 Years, for just $6.2 million, plus an array of tax benefits. PM Browne has declared DeNiro an official “economic envoy” of the Government of Antigua and Barbuda. However, a large number of Barbudans including a majority living in diaspora communities in New York, Atlanta and Toronto regard DeNiro, not as an envoy but more as a predator who’s playing a role of disaster capitalist in the Caribbean. “Invariably, such investors get their hands on virgin land, cheap or at no price. They then turn around and sell these lands as luxury properties for the rich and famous and make a quick profit with huge returns….getting a big name attached to your venture is seen as a way of selling to the clientele,” said a member of the ‘Barbuda Silent No More’ group. There are painful historical echoes in this series of events. Barbuda’s history is sparsely documented, but according to residents, the special land law has its roots in 1834, when a pitched conflict erupted in response to an attempt to forcibly relocate newly emancipated slaves in Barbuda to plantations in Antigua so that a slave owner, Sir Christopher Bethell-Codrington, could collect compensation for his lost “property” from the British Crown. The Barbudan slaves refused to move, preferring to stay on the land and waters where they had long raised animals, farmed, and fished. After a failed attempt to quash the resistance by British forces, the freed slaves eventually gained control over the land on their island. Indeed, on the land where they had been slaves, Barbudans created a democratic, communal ownership structure, which they have fiercely protected for almost two centuries. Land in Barbuda could not be bought and sold willy nilly to rich and powerful developers. The island ran like a co-op with decisions about land use driven by an elected council and approvals for major developments going to a general vote. Tiny as it was in numbers, pre-Hurricane Barbudan society offered the Caribbean and the black world, more broadly, a rare example of participatory economic planning and communal land distribution to freed slaves and their descendants from emancipation in 1834 down through the generations to the present. The steep social and economic inequalities that are a fact of life across the Caribbean did not exist in Barbuda. The ocean provides food security, and any Barbudan could claim occupancy of beachfront property. “The Pan African Unity Dialogue is demanding that Barbudans be given the right by the central government in Antigua to return to their island without hindrance and to re-settle their ancestral lands and resume building Barbuda as a fine example of sustainable, people-centered, democratic development in the Caribbean, ” said Dr. Daniels. Some Barbudans are calling on DeNiro to express support for the will and desire of Barbudans to maintain their communal land ownership. They concede that his project could still proceed but it would require the consent of the community. For many Barbudans, recovery from Hurricane Irma has not been “a just recovery.” They cite as a bitter irony that Barbudans with their history of participatory democracy and careful land use practices had all of these rights before the hurricane struck. And now, dispersed from their homes after Irma, they are in the midst of losing them. The following statement was released on February 20th 2018.
action of the President of the Public Services Association (PSA) and the National Trade Union Centre (NATUC), in dismissing eight workers employed by the PSA for wearing jerseys of the Banking Insurance and General Workers Union (BIGWU), the union to which they belong. This dastardly action on the part of the president of the PSA and NATUC is without precedent in the annals of trade unionism in T&T. It is mind boggling that a trade union leader would so wantonly violate the rights of trade union members to peaceful protest and to engage in such blatant victimisation of workers for engaging in traditional trade union activities. This is illegal under the labour laws of T&T. It is significant to note that among those dismissed are the President, Vice President and Secretary of the BIGWU branch of the PSA staff and two of the workers who were engaged in compiling a new PSA voters’ list as ordered by the High Court. The employers must be rubbing their hands in glee and raising their glasses in a toast to what can only be considered their fifth columnist in the trade union movement. The irony is that employers have accepted over the years that union members are within their right to wear their union jerseys on the workplace, but here we have a trade union leader dismissing workers for engaging in a practice which has been engaged in by the very members of the PSA from time to time. Watson Duke’s horrifying action, while disgusting in the extreme, should come as no surprise, since this is not the first time he has dismissed PSA staff members. At least nine such dismissals have been deemed by the court to be unlawful. The National Workers Union urges the leadership of the PSA to immediately re-instate the dismissed workers. The National Workers Union calls upon members of the PSA to make it crystal clear that they stand for justice and the right to union representation by calling upon Watson Duke to resign immediately as President of their long-standing organisation. The National Workers Union calls upon all trade union leaders to condemn strongly this attack on the heart of trade unionism inflicted by one of their own and to make it clear that such a person has no place in the business of defending, protecting and advancing the interests of workers which is the raison d’être of the trade union movement. The National Workers Union calls upon the National Trade Union Centre to condemn this gross violation of trade union principle and to call for the immediate re-instatement of the dismissed workers and move quickly to initiate proceedings for the removal of Watson Duke from his position as president of NATUC. The National Workers Union calls upon the Joint Trade Union Movement (JTUM), of which BIGWU is a member, to stand in solidarity with the dismissed workers and their union and to render whatever assistance they may deem fit to the workers. The National Workers Union stands in solidarity with the dismissed workers and with the Banking Insurance and General Workers Union as they seek to ensure that this gross perversion of justice is rectified.